Since the introduction of Namecoin, the first serious attempt to build a public blockchain network separate from Bitcoin, there has been an explosion of so-called “altcoins” – bitcoin competitors – which have sought to unseat bitcoin from its throne atop the cryptocurrency charts. So far, none have come close to matching the market demand for bitcoin, with bitcoin commanding about 92% of the market share in the $7.1 billion cryptocurrency market at the time of this writing. This despite the numerous advanced features offered by its competitors: private transactions in protocols like Dash and Monero, cross-currency transactions in protocols like Ripple and Stellar, energy-efficient consensus algorithms in protocols like Bitshares and NXT, and fully-programmable smart contracts in protocols like Ethereum. It took over a year to find out if bitcoin could withstand competition from a coin using the same mining algorithm (namecoin), and it took almost four years to find out if bitcoin could withstand competition from a coin which didn’t need mining at all (ripple). Bitcoin has met these challenges, and has continued to meet additional challenges from coins with varying feature-sets, parameters, consensus algorithms, and user-base demographics. 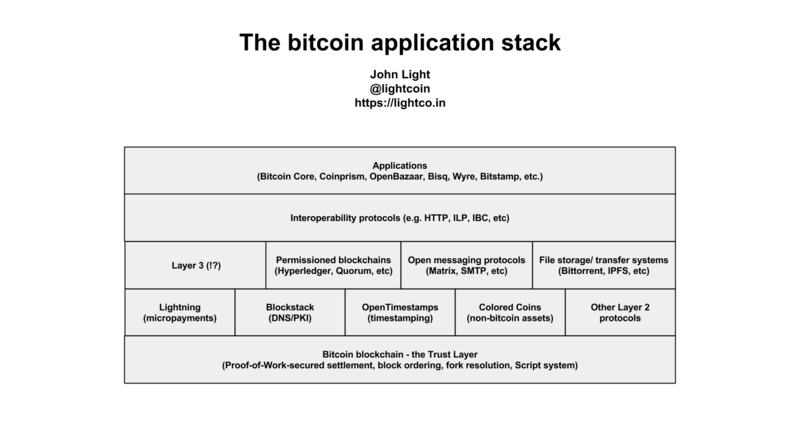 Despite bitcoin’s perceived shortcomings – the lack of protocol-level features, the lack of governance structure, the poor branding and marketing – it has a strong network effect that is owed in part to its first-mover advantage and is supported today by a large community of developers, investors, miners, and end-users, a global exchange network, and widespread merchant integrations. In short, bitcoin is unlikely to be overtaken by a competing cryptocurrency any time soon. To further fan the flames that are fueling bitcoin’s rise to dominance as the world’s standard for electronic cash, an innovation has been developed that would allow bitcoin to be transferred to and from other blockchains that have their own independent feature-sets and consensus algorithms, providing a way for bitcoin to scale both up (in terms of transaction capacity) and out (in terms of features) without having to make risky changes to the main bitcoin blockchain. This innovation, called a “sidechain,” is currently being prepared for production use. An implementation of sidechain technology called Liquid has already been adopted by a consortium of bitcoin exchanges to increase liquidity in the bitcoin trading market. Liquid allows traders to transfer bitcoin almost instantly between participating exchanges and payment processors without having to wait for confirmations on the main bitcoin network. This is just one variation on sidechain technology and shows what is possible even with the limited feature-set of today’s Bitcoin protocol. In the future, there will be bitcoin-denominated sidechains that can replace all of the useful functionality of even the most popular altcoins (see Rootstock for one such example). And as in the altcoin market, there may be dozens or hundreds of sidechains competing for business – all backed by bitcoin. There are other cryptographic off-chain methods for scaling bitcoin transaction capacity that have been proposed, including the Lightning Network and Open Transactions voting pools. 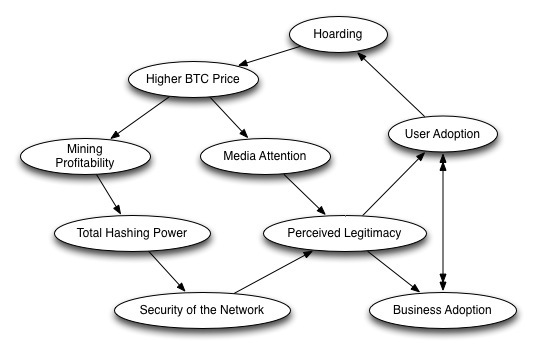 These methods make use of Bitcoin’s native scripting capabilities to lock-up bitcoin for a period of time, track transfers off-chain using payment channels in the case of Lightning Network and triple-signed receipts in the case of Open Transactions, and then redeem the locked-up bitcoins and transfer them back to an on-chain address when the recipient is ready to take full custody of their coins. Like sidechains, these methods will never provide the exact same kind of security as on-chain transactions, but the benefits gained with the security trade-off can include speed, privacy, and cost-efficiencies that make it more than worth it for users to temporarily move low-value or short-term bitcoin transactions off-chain. Software advancements like sidechains, the Lightning Network, and Open Transactions hint at what the future holds for bitcoin, both in terms of how new features will be added and how bitcoin will continue to scale to meet market demand for a fully digital currency that can be transferred without counterparty risk to anyone anywhere in the world at the speed of light. The total addressable market for a cryptocurrency – made up of not only all liquid and fungible stores of value and mediums of exchange, such as currencies and precious metals, but also all use-cases that require access to a tamper-proof ledger of record – is in the tens of trillions of dollars. Bitcoin, by comparison, has a “market cap” of “just” $6.5 billion at the time of this writing (current price times number of mined bitcoins). While difficult, a competitor would only have to convince current bitcoin investors (and the rest of the world) that their decentralized solution to the double-spending problem and/or their coin’s “monetary policy” was superior to bitcoin in order to overtake bitcoin as the most valuable cryptocurrency. Since cryptocurrency competition is a zero-sum game, in this hypothetical scenario the liquidity in the current cryptocurrency market would eventually leak out of bitcoin and other altcoins and into the superior competitor until it had the same monopoly position in the cryptocurrency market that bitcoin holds today. From there, it would grow into the total addressable market, eventually commanding a market cap in the tens of trillions of dollars. It remains to be seen if any in the existing stable of altcoins is up to the challenge, or if a dark horse competitor will emerge that is better-funded and more well-organized than their counterparts in the Bitcoin ecosystem. 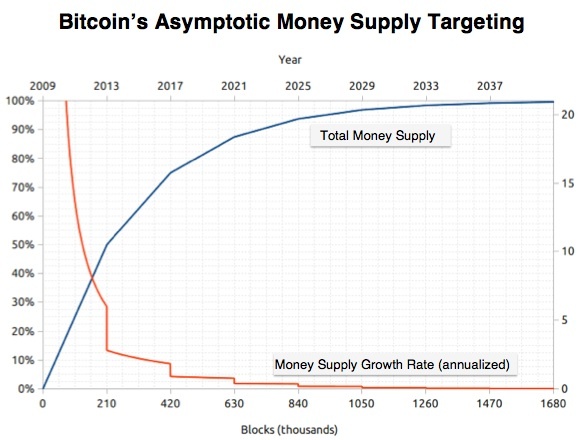 Given the technological advancements like sidechains and cryptographically-secure off-chain transactions that extend bitcoin functionality and scale bitcoin transaction capacity to match or surpass that of competitors, it is increasingly unlikely that another cryptocurrency will ever even come close to matching or surpassing the market cap of bitcoin. Instead, we will continue to see bitcoin on top of the charts as the most valuable cryptocurrency, with new innovations being tested and rolled out as sidechains, soft-forks, or even hard-forks on the Bitcoin network. Over time, altcoins will be widely accepted as either scams or curiosities of a bygone era, a time when it was realistic to imagine a cryptocurrency that could compete or coexist with bitcoin. Until then, we will continue to see serious (and not so serious) attempts at launching altcoins, with millions of dollars invested to fund further experimentation in blockchain technology and consensus protocols, all of which will continue to benefit bitcoin as it learns from and builds upon these innovations in its own unique ways. The end result? There will be many blockchains, but only one cryptocurrency.